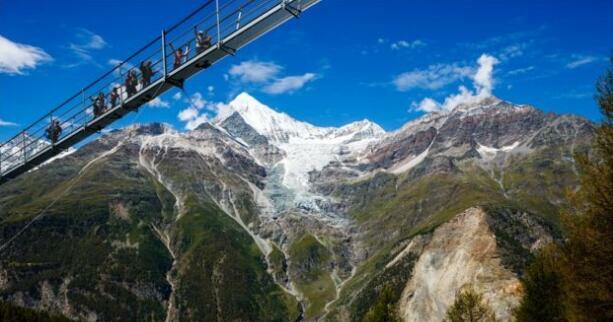 A nearly 500m (1,640ft) bridge for hikers billed as the longest hanging pedestrian bridge in the world has opened near the Swiss town of Zermatt. 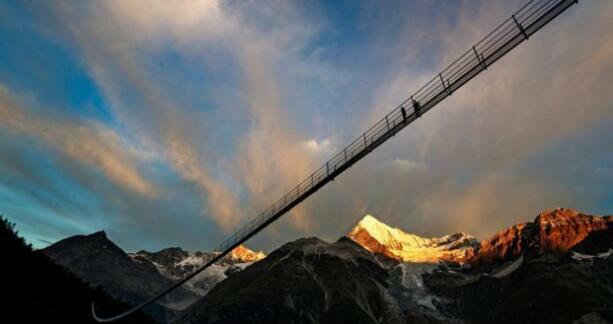 The 494m bridge, named the Europabrücke (Europe Bridge), hangs up to 85m above the Grabengufer ravine. 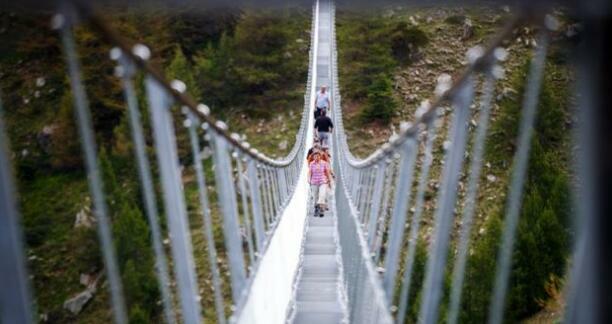 The Zermatt Tourist Board says it is the world's longest, although a 405m bridge in Reutte in Austria hangs 110m higher above the ground. It replaces a previous bridge that had been damaged by rock falls. 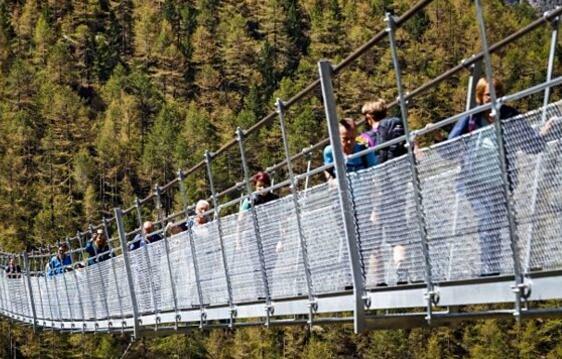 The new bridge, whose cables weigh about eight tonnes, is equipped with a system to prevent it from swinging, the Zermatt Tourist Board said. It forms part of a two-day hiking route between Zermatt and Grächen in southern Switzerland with views of the Matterhorn mountain.